In our recently held webinar ‘How to Maximize Reviews on TripAdvisor’, we had hoteliers and accommodation providers from all over the world joining us. We got an overwhelming response from all our participants who actively engaged with us on Twitter using #ReviewsForHotels, participated in the question and answer round and the survey at the end of the webinar. 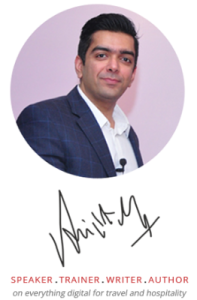 We are pleased to announce that 10 of our active webinar participants have won a free consultation session with Avijit Arya, Online Reputation Management Expert in the Hospitality Industry and CEO & Co-Founder of Internet Moguls. Congratulations to all our winners! We hope you have a good one. "Cheers to the Winners from our Webinar: How to Maximize Reviews on TripAdvisor", 5 out of 5 based on 1 ratings.